The Farm to Market Specialist works with local farmers and buyers (institutional food service and direct markets), and food hubs/distributors to increase access to and demand for local product. The Farm to Market Specialist helps farmers build their capacity to enter institutional and direct markets, providing ongoing training and technical assistance to both farmers and food service operators on supply chain logistics, regulations, and best practices for Farm-to-Market sales. 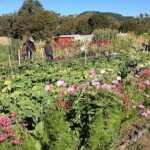 Visit the full job description at http://www.caff.org/about/jobs. 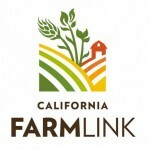 Interested applicants should submit a cover letter, resume, and the names and contact information of three references with the subject line “Farm to Market Specialist” to jobs[at]http://caff.org. We are currently reviewing applications, with a target start date of April 15, 2019.